ABC has given a series order to comedy pilot Single Parents. 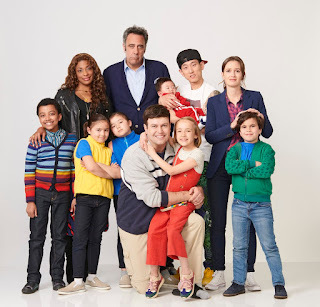 Single Parents is a single-camera comedy, whose ensemble includes SNL's Taran Killam and Everybody Loves Raymond star Brad Garrett. The series is created by New Girl writer J.J. Philbin, and the producers include Liz Meriwether, creator of New Girl. The logline for the series, from Deadline: "A group of dysfunctional single parents lean on one another as they raise their kids, look for love and ultimately realize survival is only possible with the help of one another." The series is produced by 20th Century FOX, in co-production with ABC Studios. What do you think of this news? Are you interested in Single Parents? Leave your thoughts in the comments!